One would have thought that with all the media at Prime Minister Narendra Modi’s command – print, visual and social – there could not possibly be space for a channel that is dedicated full-time to Narendra Modi’s meanderings. 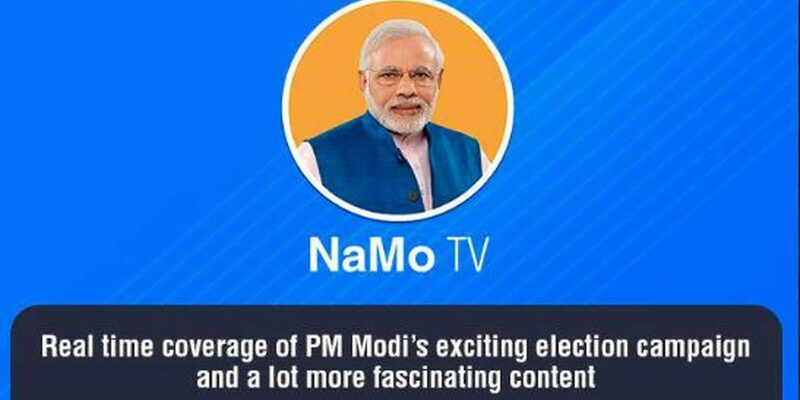 While most existing television channels are in any case devoting their almost complete attention to Modi’s speeches, here comes a channel with the charming nomenclature of NaMo TV, complete with a cute icon of the subject tucked away in the right hand corner of the screen (‘Opposition Worried NaMo TV Launch Will Tilt “Level Playing Field”’, April 1). Incidentally, Modi has told ABP News that he himself doesn’t watch NaMo TV. Why should he, when a good mirror would do the job just as well? But this ABP News question brings us to the old conundrum: why can’t journalists – at least those allowed to interview Modi – develop some spine? Questions are important for media coverage in the best of times, but they become essential tools for any media coverage during elections, given the gigantic question mark that’s inherent in these exercises. Political choices are necessarily based on the voter’s diagnosis of the present, and this diagnosis is in turn founded on her or his capacity to ask the right questions of those who seek to impact their future. Is Congress’s NYAY really pro-poor? 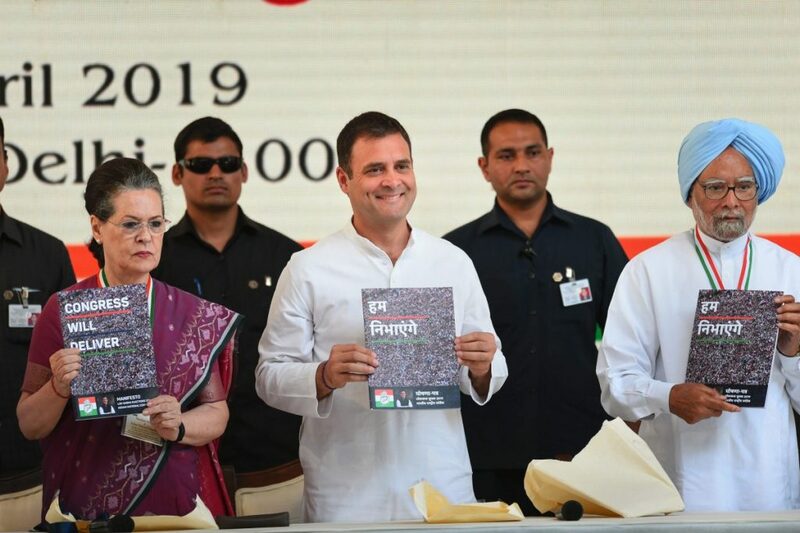 The article, ‘Will Congress’s NYAY Really Mean Justice for the Poor?’ (March 23), argues that the claim that the scheme will eliminate poverty is a “tall” one. One important reason to arrive at this conclusion is that 20% of families which NYAY seeks to bring into its ambit are arbitrary and unsatisfactory – lower than even the conservative poverty line estimate of 29.5% arrived at by the Rangarajan committee in 2011-2012. There are hundreds of thousands of families living marginally above the poverty line who cannot be deprived of state support for their survival. Can the Bharatiya Janata Party be termed as Bharatiya? A piece carried on April 3, ‘Why the Bharatiya Janata Party Is Not Truly Bharatiya’, points to a party that seems to include all Indians in its nomenclature and seeks to speak for the nation, is in fact “not a national or even a nationalist party” because it does not represent all sections of the Indian population. Nothing confirms this more than its daily rhetoric demonising Muslims and the fact that no Muslim was elected to parliament in 2014 on a BJP ticket, no Muslim was fielded by the party either in the Uttar Pradesh election of 2017 or in the Gujarat elections the last three times. Do the election speeches made by the prime minister pass the legal norms? It appears that they do not because, under Section 123(3) of the Representation of People Act, candidates appealing to people to vote for them on the ground of their religion have indulged in a corrupt practice. This raises a complementary question that is not being raised with sufficient impact by the media, and that is this: “Is the National Election Commission guilty of bias by not taking suo motu action against the offender, and the answer of course is clear (‘Modi’s Appeal In the Name of Voters’ Religion Makes Wardha Speech a Corrupt Practice’). His reference to the ASAT test in a campaign rally also treads the thin line. All this only suggests – as ‘#PollVault: For Modi and Shah, Rhetoric on Surgical Strikes, ‘Infiltrators’ a Key Prop’ (March 29) puts it – that the prime minister is “confident there will be no adverse ruling”. Who better represents India’s youth? The youth factor, including first time voters, is something that the media has looked at fairly closely. But juxtaposing the two youngest candidates in the fray, Kanhaiya Kumar and Tejasvi Surya is a particularly interesting way to regard this phenomenon. The piece, ‘Why Tejasvi Surya Is Symptomatic of the Sangh’s Bigotry-Driven Agenda’ (LiveWire, April 1), comments on how the two handled a television debate recently, and came away with the view that the Sangh parivar, embodied by Tejasvi Surya, places more premium on vitriol than rational argument. Says a lot about the Sangh’s expectations from its young leaders. But there’s another new kid on the block, one that is considerably older. Does Amit Shah’s significantly higher profile within the party in this election signify long term plans? The piece, ‘A New Star Is Rising in the BJP – Amit Shah’, notes that by emerging from the backroom and stepping on to centre stage, stirring the dove cotes at Margdarshak in the process, (‘In Advani’s Blog Post about Modi’s BJP, Echoes of His Writings on Indira’, April 4), Amit Shah has signalled his long-term ambitions. His almost certain victory will be the stepping stone to his emergence as “an immensely powerful man”. While Modi’s position is unassailable for the moment, it is also true that Amit Shah, being young, has more battery life. Does the Congress have a strategy? Sometimes it is difficult to discern a pattern in the inscrutable ways of the Congress. Its secularism sometimes comes with a janeu thread. It delays any coalitional agreement with the Aam Admi Party, even as it talks grandiloquently of the mahagathbandhan. It goes alone in India’s biggest north Indian state, but wants to win over the region south of the Deccan (‘#PollVault: After Narrow Escape With EC, Modi Once Again Plays Fast and Loose With MCC’, April 1). Are women getting a better deal in these elections? This is an evolving political story, but one thing is obvious – the gender composition of the 17th Lok Sabha is not about to change radically, if we are to go by the gender tracker kept by a professor of Ashoka University (‘How Many Women Candidates Will Contest in 2019?’, April 5). The two major parties have been extremely conservative in their ticket distribution – only 47 of the Congress’s 344 candidates selected for the fray are women. The BJP trails the Congress, with only 45 out of 374 of its candidates of the female gender. Little wonder then that two of its most high profile women members – Shaina N.C. and former speaker Sumitra Mahajan – have retired from the scene of battle, very hurt. Is hate speech getting more graphic in these elections? Every election from the last general election – which incidentally gave the country the subliminal phrase “pink revolution” that went to build the justification for a stunning rise of vigilante attacks in the name of protecting “gau mata” – has seen the rising spiral of hate speech. What seems to be new today are direct calls for murder, and the like, most of which fails to be checked because of the pusillanimity of a range of institutions, from the police to the Election Commission (‘With Chowkidars Like These, the Nation has Nothing to Fear’, March 28; ‘On Social Media, Hate Speech Is Ok – Reporting It May Cost You’, March 30. Why is the EC resisting better VVPAT auditing? One of the reasons the Election Commission maintains that auditing a larger number of VVPAT votes – rather than the one per constituency as is the present norm – is that it could delay results. But, surely, if it is a choice between a delayed verdict and a spiked verdict, isn’t the first infinitely more preferable? Related to this is the question, how safe are the 2019 elections? The piece, ‘Following a Trail of Digital Breadcrumbs – Are the 2019 Elections Truly Safe?’ (March 24) has raised concerns about an app that could, potentially, be misused to influence voters. In 2018, the ‘Neta app’ made an appearance. On the face of it, it seemed all about the fun activity of rating leaders and stating voting preferences, but the piece argues that, given app’s internal working and provenance, it could expedite the “gathering of voter information, directly or indirectly influencing voters on behalf of one or another political party…” There are enough examples of stolen elections across the world, and 17th Lok Sabha polls should not be added to the list. 1. Is the BJP or people associated with the party pumping money into proxy Facebook pages that influence voters by luring them with freebies? 2. Is the Election Commission aware of the practice? 3. Has the EC looked into the source of investment of these pages and whether the same is a part of BJP’s declared election expenditure? The piece, ‘How Much Is a Woman’s Labour Worth? Rs 37 a Day, According to the Central Government’, is one of those rare pieces that provide a clear elucidation of the reality of women’s work in this country and its systematic undervaluation. 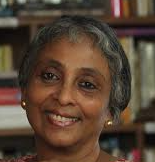 As economist Padmini Swaminathan has argued, time and again, one of the striking aspects of economic ‘development’ in post-independence India is the steady growth of the informal sector, the informalisation of the formal sector and the disproportionate representation of women in the informal sector. The writer of this piece, by talking to 69 women who slave in horrific conditions to cook mid-day meals across five districts of Bihar, illustrates this tragic reality (through word and image) most poignantly. They are part of a 2.5 lakh desperate work force who find themselves left out of electoral promise-making and are forced into adopting desperate measures like going on hunger strikes. Why are these workers being denied a minimum wage? It’s simple, really, it’s because they are women. The media, by consistently ignoring this crisis in women’s employment, has fed a monstrous injustice. 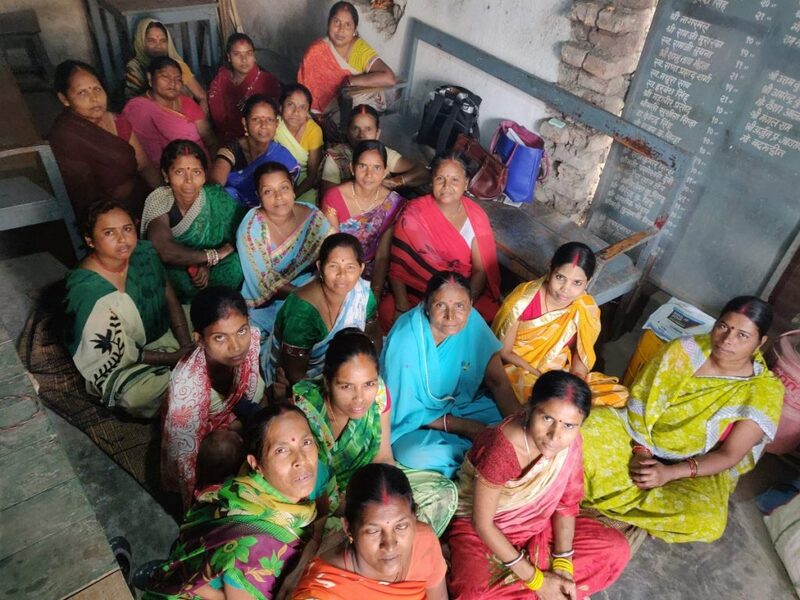 Mid-day meal cooks in Patna city gather for a meeting. As I was reading ‘In Kashmir, Two Tales of Friendship Offer Hope of Communal Harmony’ (March 31), it struck me that even as we analyse and critique these dark times, we also need material that breaks through the subterranean layers of composted hate and violence, and gets to breathe the sweet, fresh air of human existence. The capacity of people to live together is the hallmark of human civilisation and we need to tell such stories, over and over again. The tale of friendship between elderly Chaman Lal, a Kashmiri Pandit, and his childhood friend, Muhammad Anwar Mir, is one such story – it’s essentially a tale about a walk together that has continued for a quarter century. It rises above the barbed wired fences of the mind, touches the most tender spaces of the heart. “Once I put my hand on Mir’s shoulder, I get a lion’s stride,” says the visually challenged Lal. The piece reminded me of another, published by The Wire in October 2016, entitled ‘A Hindu and a Muslim Started Living Together. What happened Next Won’t Surprise You’. It is worth recalling that this particular story was published a year after Akhlaq was set upon and killed for the meat in his refrigerator, and that vicious vigilante attacks, mostly on Muslims, were playing out across the country. So a story of two individuals, Kush Kumar Singh and Faizal Khan, who happen to be members of the “two largest constituents of the country’s citizenry but who rarely live as neighbours, let alone share a roof”, actually go ahead and live in the same flat as a “social experiment”. Regardless of who wins in May 2019, such story-telling must go on. Whether to heal or to resist, there must be such story-telling in the dark times. Deepak, a reader of The Wire, urges more coverage on the employment issue during this pre-election period. He wants The Wire to in particular to raise the SSC CGL/CHSL 2017 issue in such unemployment discussions. SSC has the potential to give 50-60,000 Central government group C and D jobs every year but due to slow process of Supreme Court of India, SSC has not been able to conduct exams in 2018, adding to the employment problem in the government sector. The NDA government, he points out, has failed to provide approximately a lakh of governmental jobs. Jobs are available at the Central government level, but due to the slow recruitment processes and the Supreme Court of India, they have not been given to the hardworking young people of the country, he observes.